How is the Belmont Different Than the First Two Jewels? 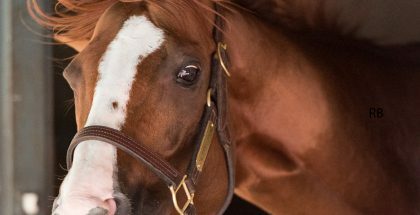 Home » Derby Culture » How is the Belmont Different Than the First Two Jewels? How is the Belmont Different Than the First Two Jewels? by Reinier Macatangay: Once in a blue moon, someone will suggest the Belmont Stakes (GI) needs to change. Scheduled for June 11 at Belmont Park, the third and final leg of the Triple Crown has been run at 1 1/2 miles or 12 furlongs since 1926. 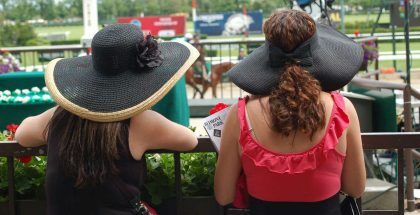 Traditionally, the race is held at Belmont Park three weeks after the Preakness Stakes (GI), although from 1963 to 1967 Aqueduct hosted for a few years. Before 1905, Morris Park and Jerome Park also ran the third jewel. Cries for change come from a desire to make the race and overall series easier, but the last leg should remain unique and challenging. 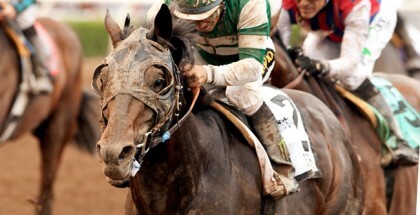 If more horses won the Triple Crown, less fans would care about the accomplishment. For those who do not know, the Belmont runs two furlongs longer than the Kentucky Derby (GI) in May. Before the Derby, the longest 3-year old race is nine furlongs. 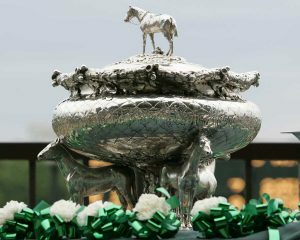 Some owners and trainers wish for a 10-furlong Belmont Stakes, but then it would match the Derby distance, or even encourage Churchill Downs to shorten their race. Because of the longer distance, the pace (sometimes) operates differently than the first two Triple Crown races. Jockeys know they must conserve their mount, so securing the lead and controlling the pace becomes easier. Fans might think the longer distance favors closers, but horses cannot sustain their rallies for indefinite amounts of time. In other words, starting the move at an earlier point only means flattening out late. Like the majority of other races, “pace makes the race” and Creator’s trainer Steve Asmussen commented on this for a press release. “We’re somewhat concerned with the possibility of the lack of pace,” Asmussen said. Handicappers place a priority on pedigree for the Belmont as well to determine if a contender can last the distance. Beginners may find studying the various families a daunting task. Longtime followers of this game hold the advantage since they grew up watching the sires and adjusted over time to what works for them. Understanding the differences of Belmont Park’s track configuration will not hurt either. The track is larger, and horses who enjoy long straightaways as opposed to turns will thrive. Think about how Sunday Silence defeated Easy Goer in the Derby and Preakness, before the long straightaways helped Easy Goer win the Belmont. For connections, picking a jockey who understands the nuances will be important. Suddenbreakingnews’ trainer decided to switch to Hall of Fame rider Mike Smith, who owns plenty of Belmont Park experience. In 2009, Calvin Borel made an arguably premature move on Mine That Bird. Note how track announcer Tom Durkin stated “He’s moving like a shot!” on the far turn, only to watch the little gelding hit a wall in the stretch run. A more experienced Belmont jockey will not commit the same mistake on a closer. Early positional speed helps, but to come from the back and hit first place in a flash seems to wipe out a horse in a marathon. As a last point, the track’s dirt surface is seen as deep and cuppy. Select runners might notice the difference. All the unique aspects of the Belmont Stakes keep the race special. To change the race would cheapen the event and make comparing wins with other years in the modern era confusing. The field may or may not stagger home on June 11, but one of them will win through heart and determination, and earn his place in history. Will Beholder Hold Off Stellar Wind in Vanity Mile?